The Mvule Boat is a proudly Ugandan company! The boat was made in Jinja, by Ugandan engineers who are experts in the boat building industry. We used all Ugandan tradesmen/women during the construction and sourced the majority of the materials locally. The Mvule Boat started construction in November 2017 and it took 6 months to complete the build. We really wanted The Mvule Boat to be true to the Ugandan culture so its design is based off the wooden transport canoes that are used to travel across Lake Victoria. These transport boats provide supplies to the islands across the lake and go all the way to Kenya and Tanzania. The shape of the transport canoes is ideal for carrying heavy material and for cutting through the Lake swell. The Mvule Boat was officially launched on April 1st 2018 – April Fool’s Day ! The Mvule Boat is the name of our company. Our wooden boat is made from timber from The Mvule tree (which is commonly found in Uganda). This hardwood timber was used to make the keel and the supporting frame of this boat as it is strong and durable. The hull of the boat is made from the Makebu tree which is found in Southern Sudan and Congo. It is a strong but lighter hardwood. It is used as it has a long life span especially when submerged in water. This beautiful boat is named Kaya, in tribute to a very good friend and beautiful person who sailed away to a new adventure, on the undiscovered shores of the sky. 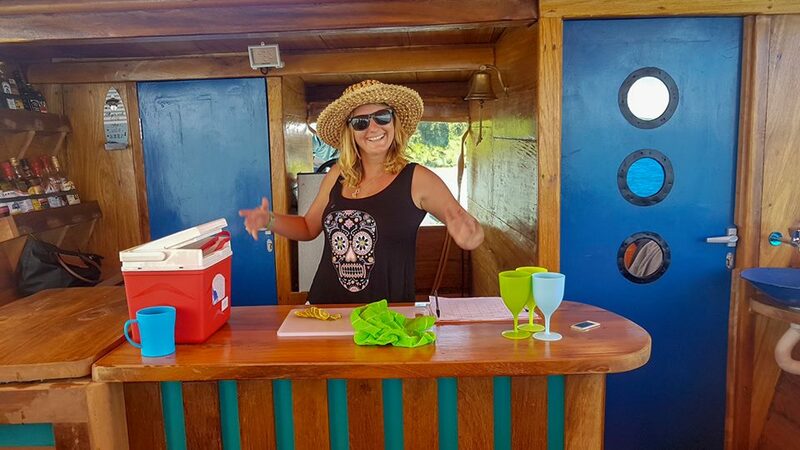 The Mvule Boat was founded by Megan Flowers in November 2017. Megan was born and raised in Uganda and holds Ugandan Citizenship. She has a great passion for Lake Victoria and the River Nile and has spent a large proportion of her life playing on and around the waters of the Lake and the River. She has a great love for all water sports – swimming, rafting, surfing, water skiing, wake boarding, stand-up paddle boarding, kayaking etc etc ! In October 2017 Megan decided that she would like to run her own company in Uganda. She did not have a firm business idea, so used Google Earth to see if she could get some inspiration. Whilst looking at Google Earth she found a huge rain forest on the Lake shore. Megan went on an adventure to explore the area from a Kayak. It came clear to her that the beauty of Lake Victoria (the second largest lake in the world) has loads of untouched potential….. the concept of The Mvule Boat was then born !